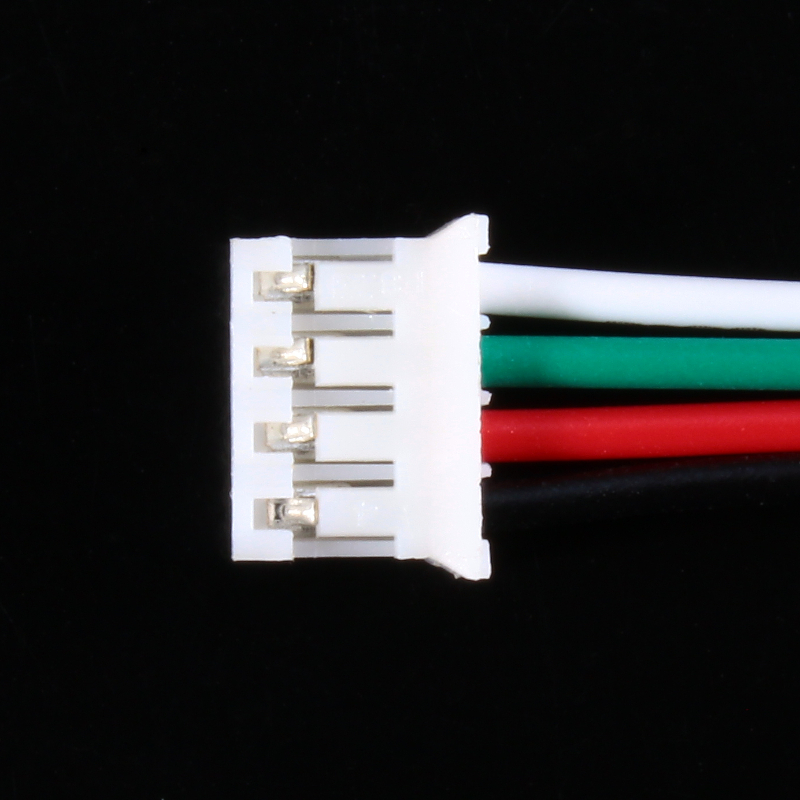 4-wires (red, green, white and black) cable with a 4-pin JST PH female connector. 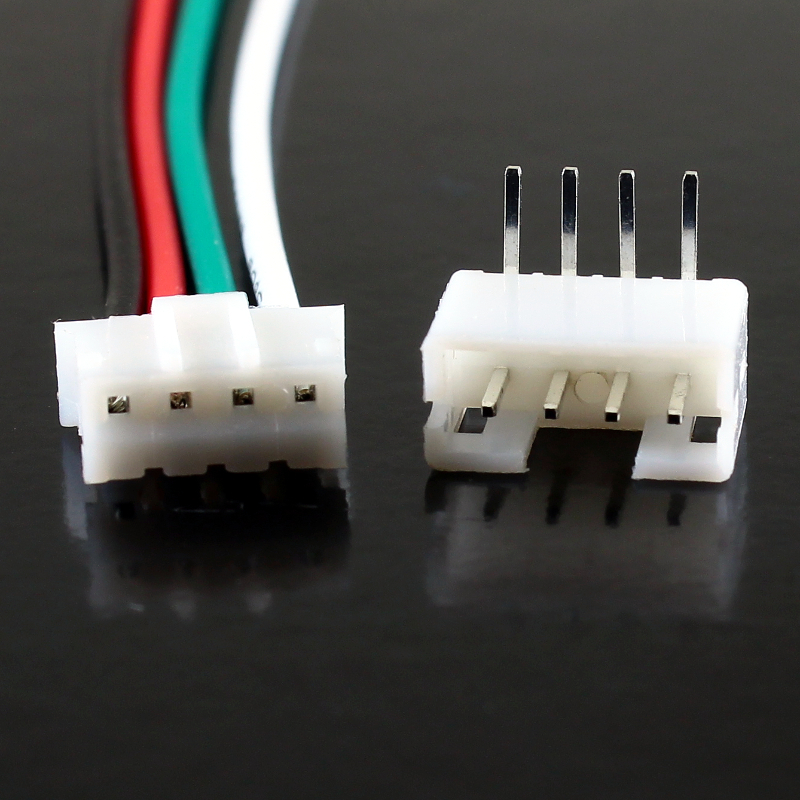 Includes a 4-pin male JST connector with right angle pins. 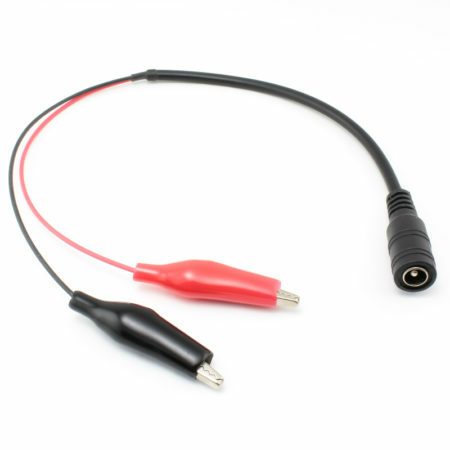 This is a 4-wires cable with a female 4-pin JST PH connector on one side, and open connections on the other. 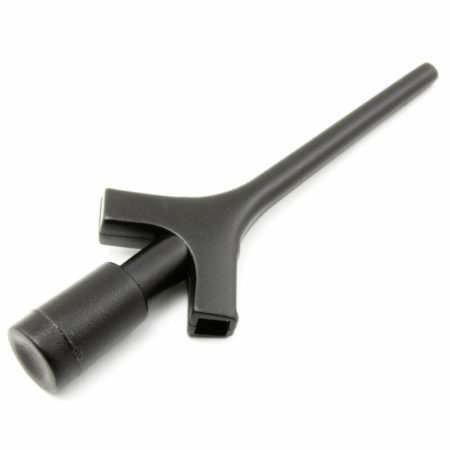 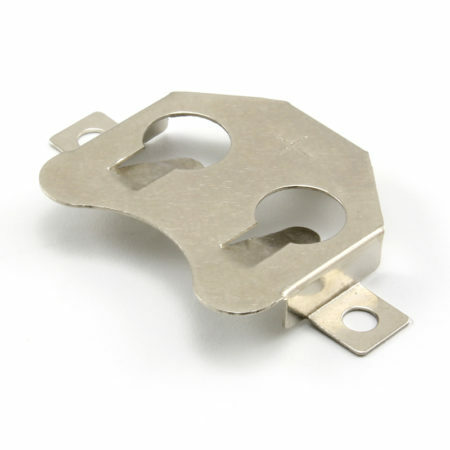 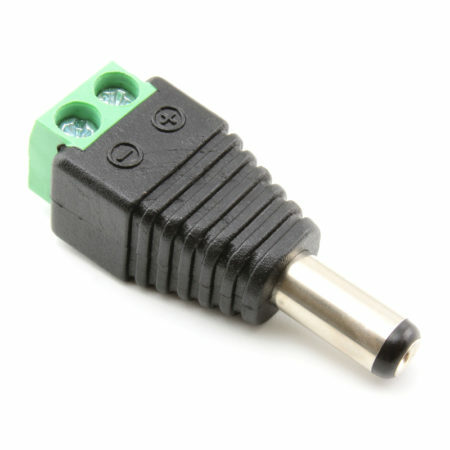 We include in the package its counterpart connector: a 4 pins male JST with right angle pins. 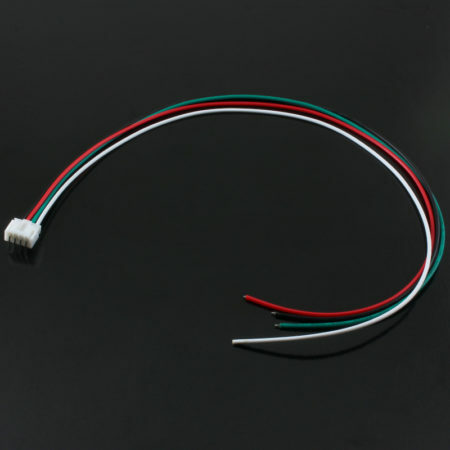 These cables are typically found in battery, power supply and stepper motors connections. 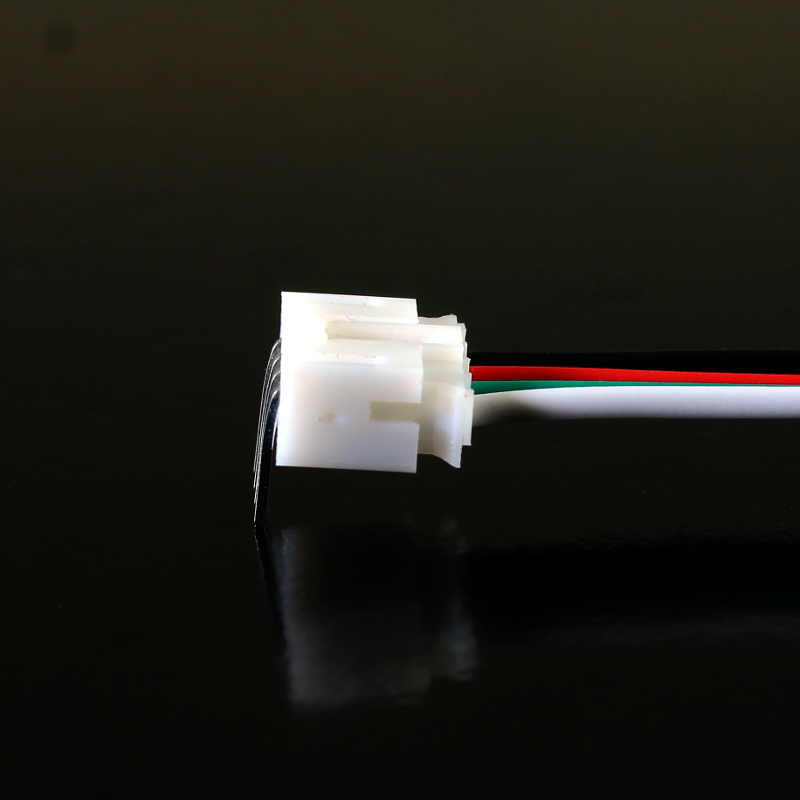 We also ship a 2-wires version of this cable. 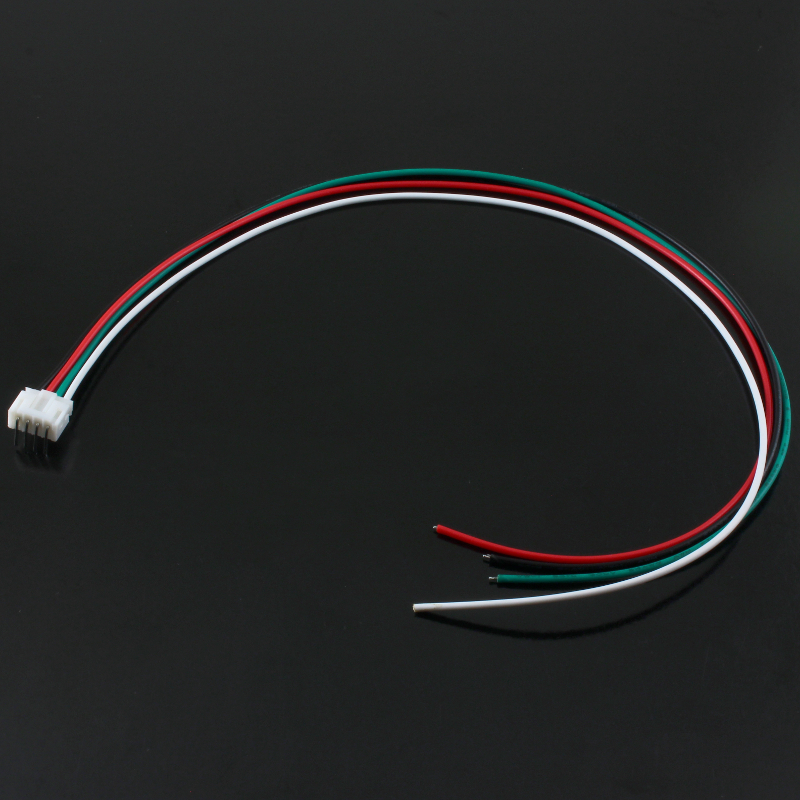 Red, green, white and black wires.